In this series, you will learn about righteousness and the purpose of battles and the role faith plays in achieving victory. God created you to reign in this earth and have dominion over this entire earth. 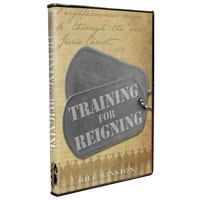 Let this teaching be the spark that will ignite the fuel for you to discover your greatness in training for reigning.